Finn's new pj pants were just traced from a pair of old pants and sewn from Michael Miller's Haul-It flannel line. This cotton flannel is brushed on both sides and super-soft. I made them on the longish side so they'll last through next winter. Now that it's almost summer, our family game nights start before the sun has set. 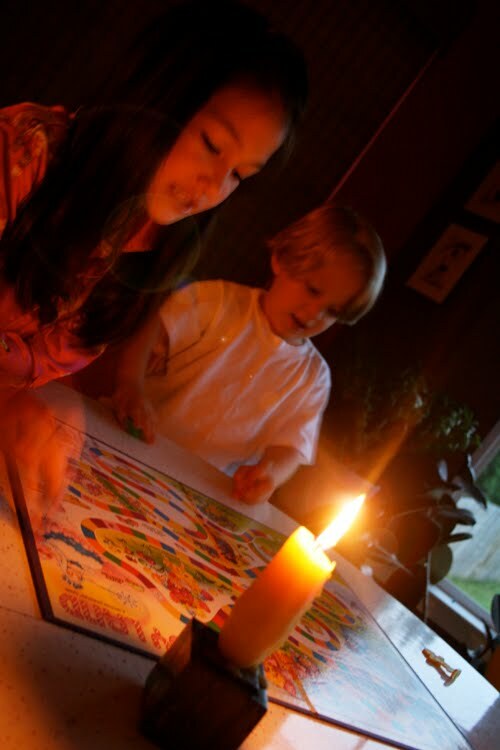 But we were able to play for a few minutes by candlelight which we all enjoy so much. 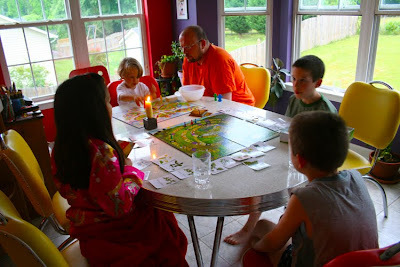 LOVE family game night. So much fun. I'll bet he loved being up with the big kids! 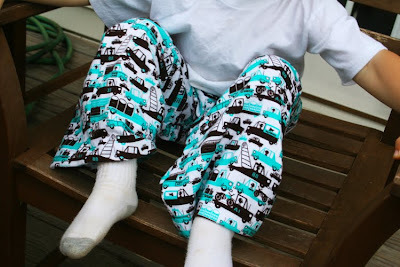 And those PJ's are just precious!! How fun. Rainer is starting to get in on the matching game fun over here. He was included before, but now he's starting to get some matches. 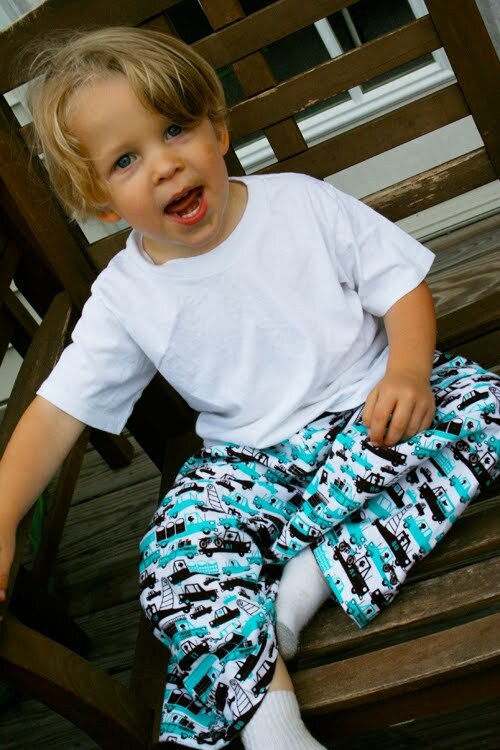 I love those pajama pants!